We feel privileged to contribute to the significant and substantial social change efforts of our clients. Brotherton Strategies provides individually tailored, hands-on communication services for a variety of national, regional and local organizations, including a mix of grantmaking foundations, nonprofits, start-ups and socially responsible corporate clients who work across the country and around the globe. 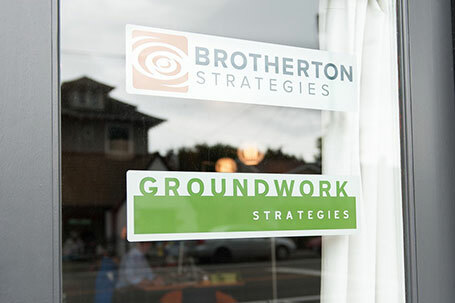 Proud to be co-located with Groundwork Strategies on Phinney Ridge.